Forgotten Chinese Photographer Resurrected : The Picture Show You may have heard of Robert Capa, famous war photographer who documented China in 1938. But have you heard of Chinese photographer Sha Fei? Famous war photographer Robert Capa, founding member of Magnum photos, was in China in 1938. He was covering the Chinese resistance against the Japanese invasion that had begun in July 1937. Capa was a seminal figure in the world of photojournalism; his work is familiar to many. But how many of you can say you've heard of Sha Fei, the Chinese photojournalist who was covering the same events as Capa? Until recently, many Chinese hadn't even heard of him. Sha Fei's promising career in photojournalism took a turn for the worse when he fell mentally ill in his late 30s. He was tried and executed for murder in 1950, and his story was thereafter repressed. Song of the Fisherman, 1936. Created in the pictorialist style, this photograph represents Sha Fei's first career stage as a fine art photographer. Fragility/A Piece of Thread in the Hands of a Compassionate Mother, circa 1935-36. Although he grew up in the busy coastal city of Guangzhou (Guangdong province), Sha Fei developed a strong connection to the countryside. 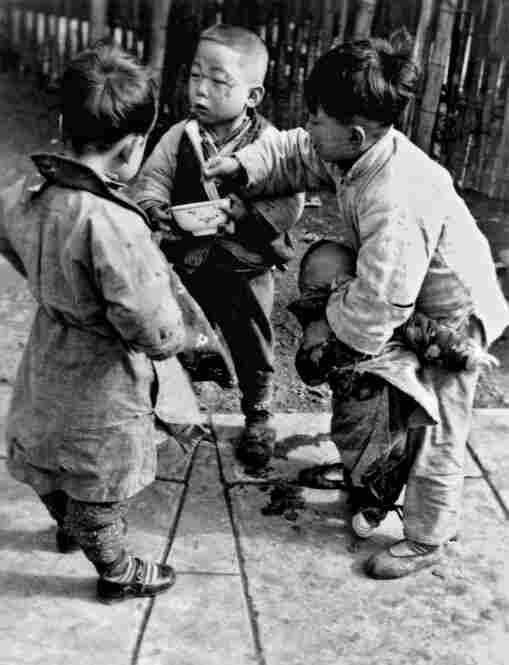 Most Children in China are Still Hungry, 1936. 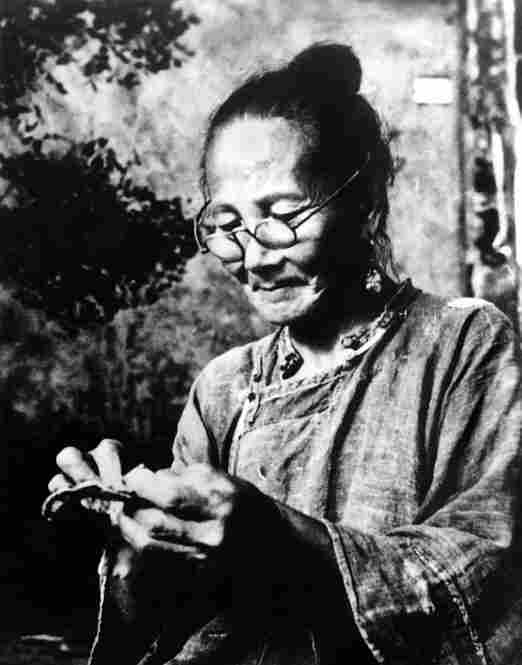 In Shanghai, Sha Fei recorded the poverty endured by the people. As a social documentary photographer, he considered photography "the most powerful weapon for exposing reality" of the common people. The Eighth Route Army and Local Residents Celebrating the Recapture of Yuxian County, Hebei Province, 1937. 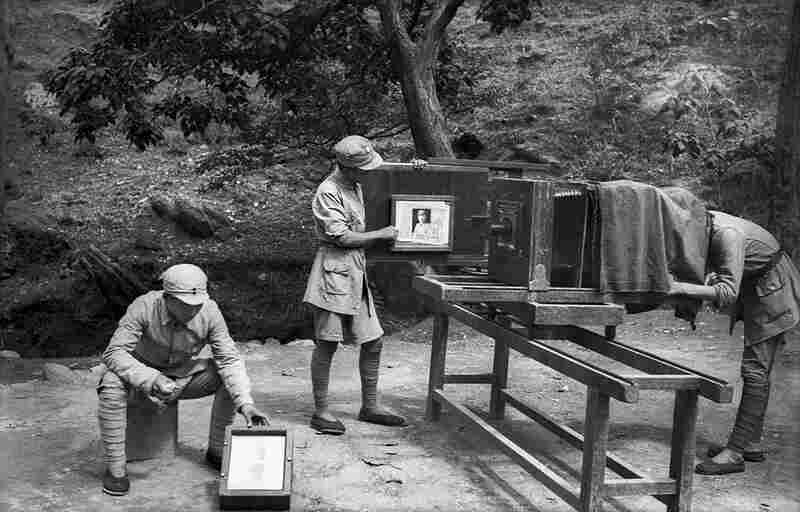 Upon the outbreak of the China war with Japan (1937-1945), Sha Fei joined the Chinese Communist army, and became its official photographer. The Eighth Route Army Moving Against the Japanese Siege, 1938. As an army photographer, Sha Fei had unique access to record military life. Militiamen Using "Sparrow Tactics" in Guerilla Warfare, 1940. Sha Fei depicts local men and women as they appear as militia personnel in guerilla formations. They are portrayed as an indispensable force that provided assistance to the regular army. 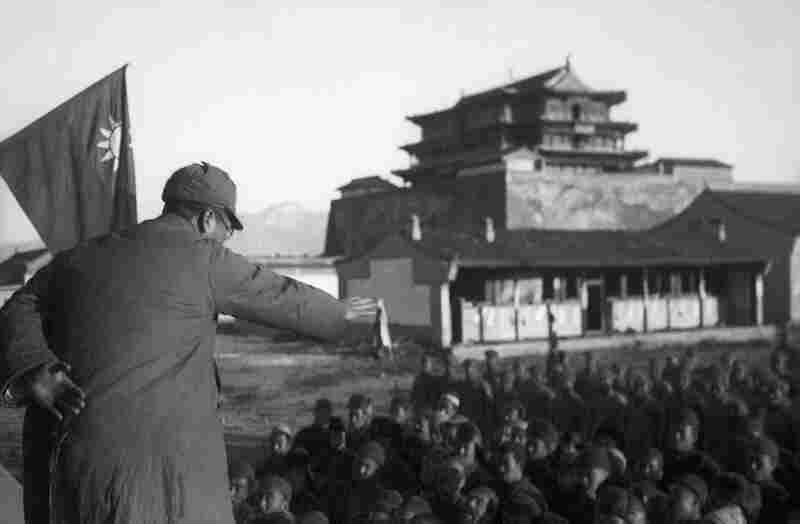 A Young Participant at an Enlistment Campaign Gathering, Fuping, Hebei Province, 1939. 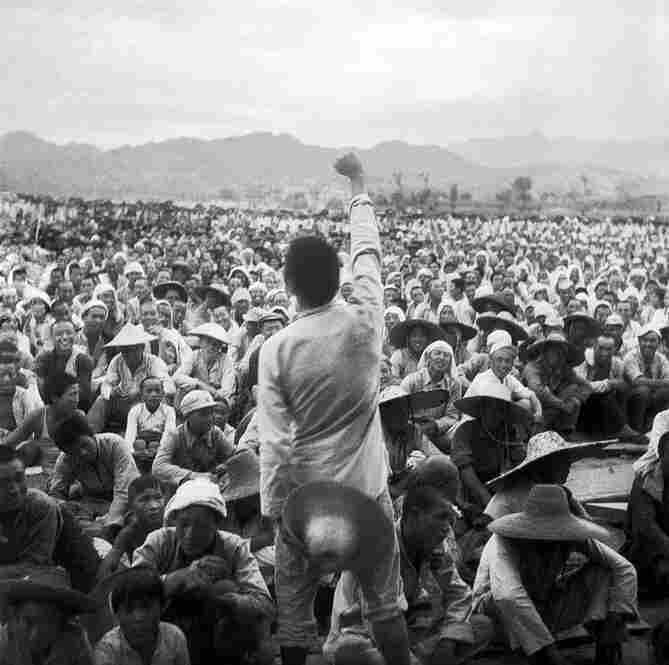 Sha Fei took this photograph from a position among the crowd in an enlistment campaign. It depicts a young participant as he makes a call to arms. 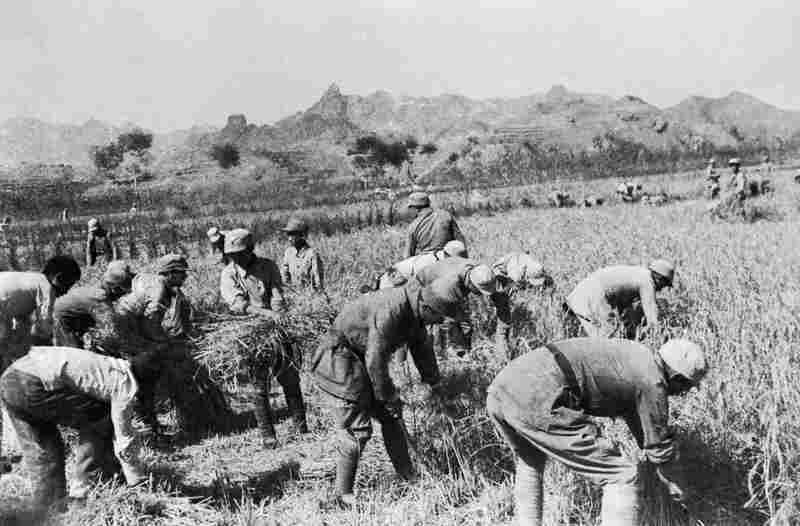 The Eighth Route Army Helping Local People in the Autumn Harvest, 1939. 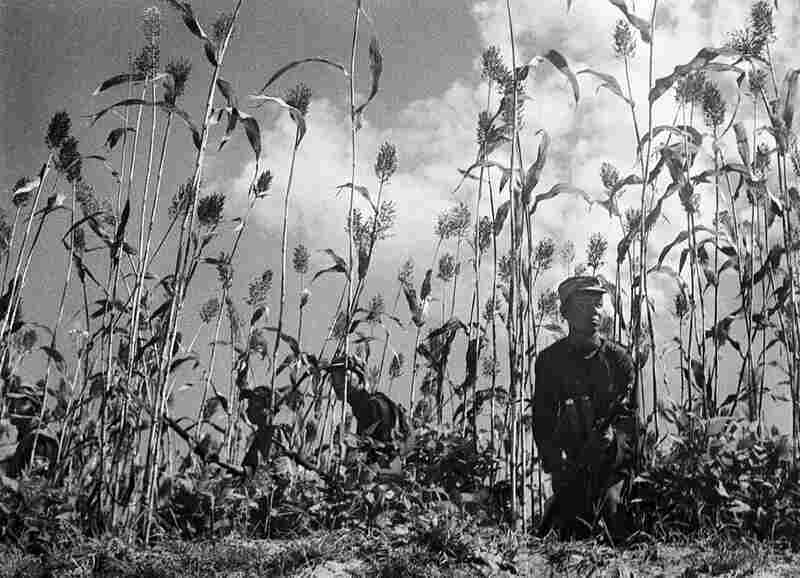 In addition to their conventional representation as fighters, Communist soldiers are portrayed, in this photograph, as an agricultural force that helps local production of food. Army-printers of the Jin-Cha-Ji Pictorial Press Preparing Copperplates for the Inaugural Issue of the Jin-Cha-Ji Pictorial, 1942. Sha Fei was one of the founders of the important Communist-sponsored publication, the Jin-Cha-Ji Pictorial. 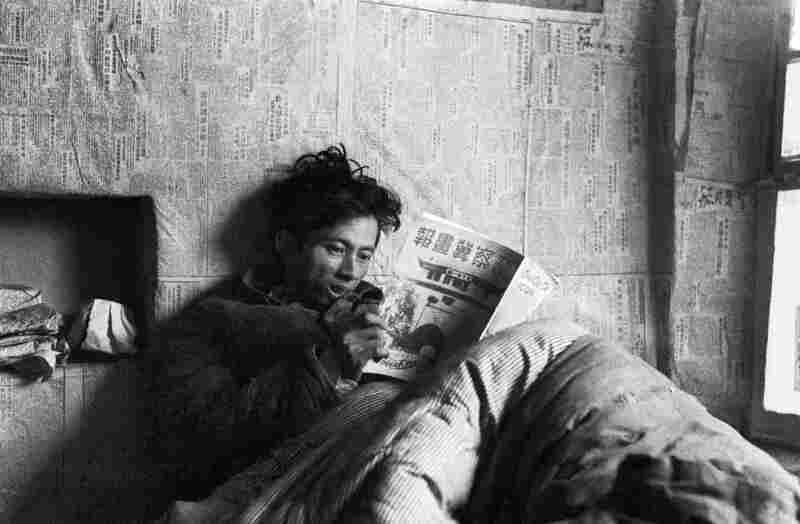 Xu Qun, Art Director of the Jin-Cha-Ji Pictorial, Reading the Pictorial's 9th and 10th Combined Issue while Recovering at the Bethune Hospital at Zhangjiakou, Hebei Province. The Jin-Cha-Ji Pictorial circulated primarily within China. 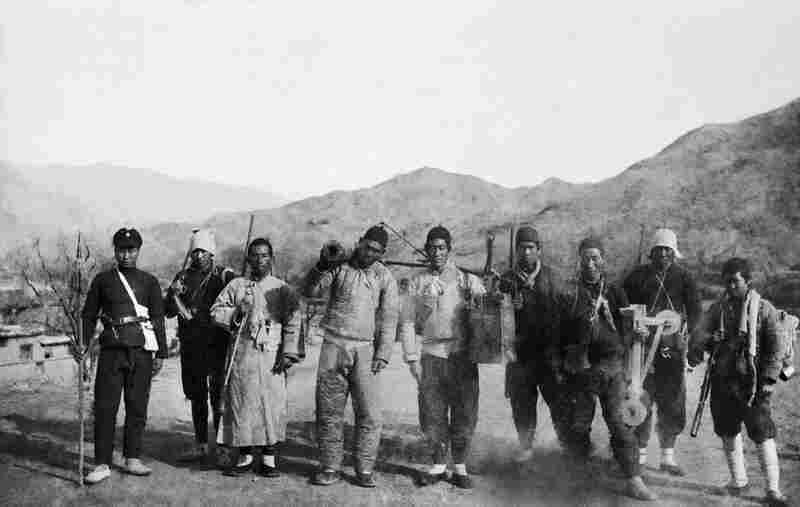 Militiamen with Homemade Weapons Heading for the Battle Front, circa 1938-1940. Sha Fei captured the Chinese citizenry's changing perception of military service, which shifted from a contemptuous view to a positive one. 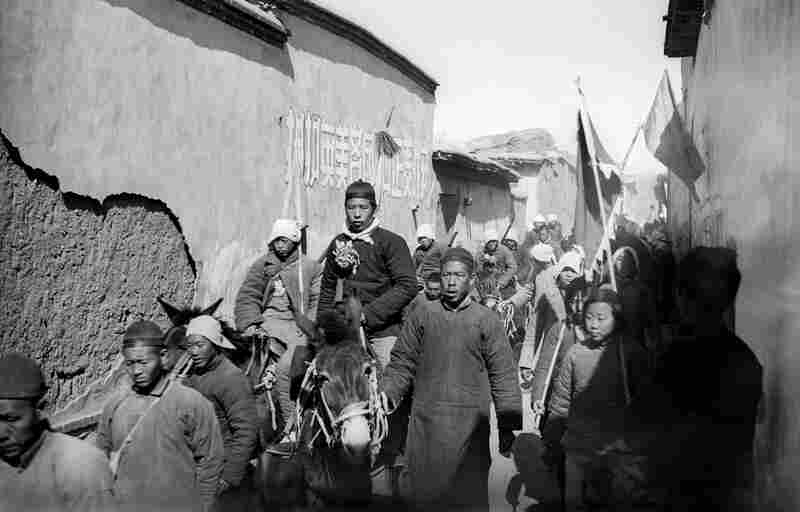 Liu Hanxing Accompanied by a Procession of Villagers as They Proceed to the Enlistment Ceremony, Pingshan, Hebei Province, 1942. Sha Fei photographed local resident Liu Hanxing as he joined a voluntary army. 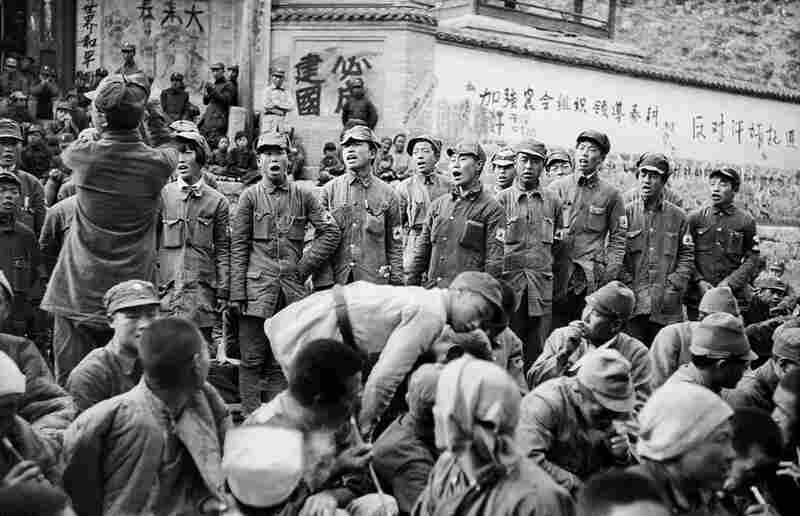 Japanese Captives Singing as They Express Gratitude to Their Communist Captors before Release, 1938. Sha Fei captured specific moments and events to reveal the human side of the war. 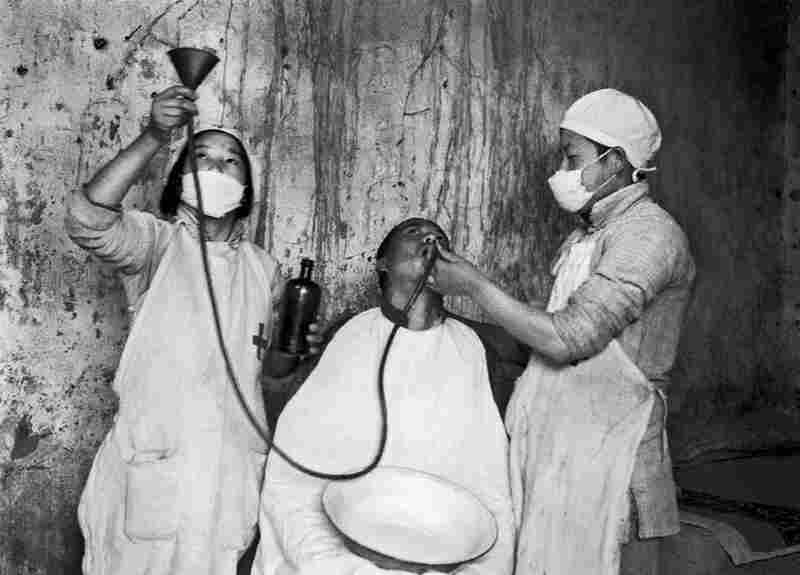 At the Ear, Nose, and Throat Department of the Bethune International Peace Hospital, Tangxian, Hebei Province, 1944. In showing Western medical treatment, Sha Fei represents the Chinese Communist Party as an agent of positive change. 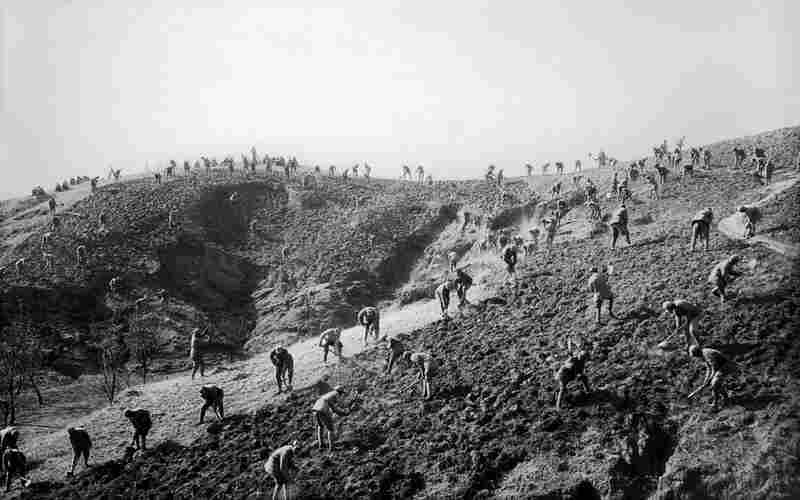 The Eighth Route Army Opening up Fallow Land for Farming as They Join the Great Production Drive, 1941. 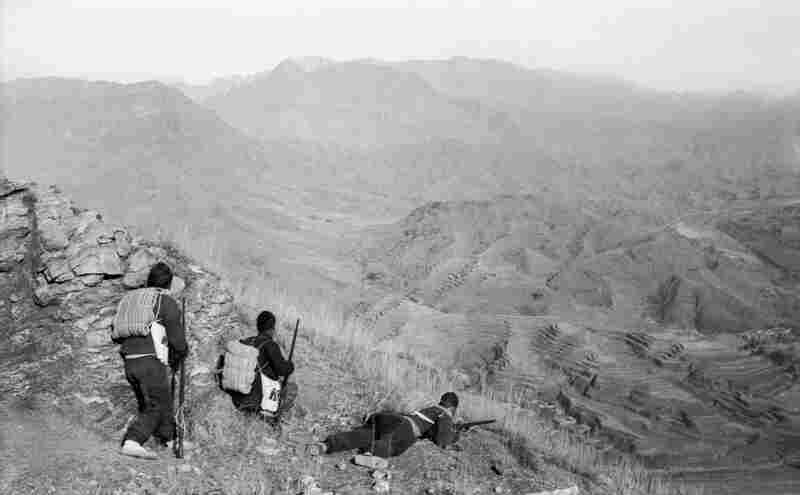 This panoramic image depicts numerous Communist soldiers on the expanse of a mountainous landscape, like ants working on an anthill. An exhibition of Sha Fei's work debuts today for the first time in America — at Ohio State University's Urban Arts Space. The curator, Eliza Ho, was awarded a Presidential Fellowship by OSU to complete a graduate dissertation on Sha Fei. As she writes, the photographer lived "in one of the most turbulent periods in China's modern history. During his lifetime, China was radically transformed by a succession of revolutions and foreign invasions..."
Having witnessed their country in crisis, a new generation of Chinese youth grew up with a strong sense of patriotism. Sha Fei was part of this generation, and he shared with his peers a conviction to reform and modernize China. To contribute to that effort, Sha Fei chose photography as his medium because of its unique potential for representing the reality of the current age. Ho divides the exhibition of 38 photographs into three phases: the fine art photographer, the social documentarian and the propagandist. 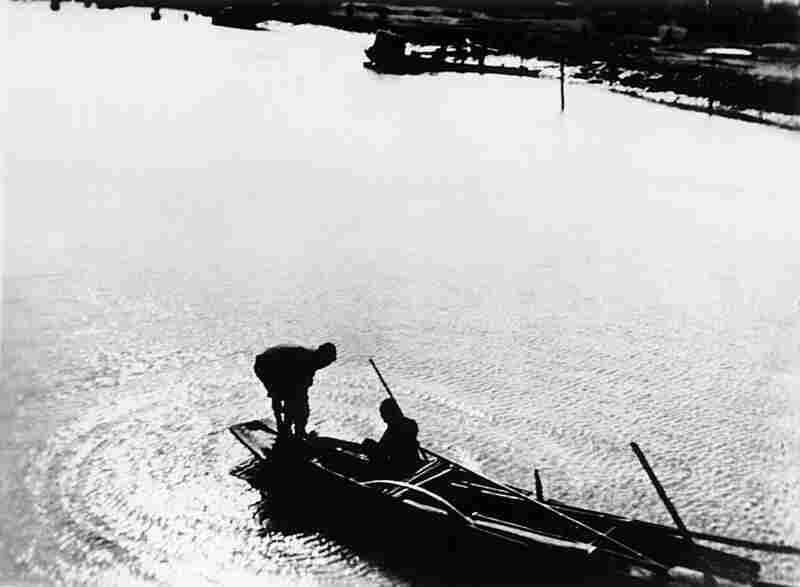 You can see Sha Fei's career develop from his early pictoralist photograph, Song of the Fisherman, to images from later in his life of Communist propaganda. Tragedy arrived ... on December 5, 1949, in the Bethune Hospital in Shijiazhuang, Hebei province where he was receiving treatment for tuberculosis. Sha Fei became delusional and fired several gunshots that killed a friendly Japanese surgeon serving the Chinese Communist Party in China. As a result, he was charged with murder and was subsequently sentenced to death... and his name was to be erased from the Chinese Communist Party's version of the history of Chinese photography. Many years later, China's improved cultural climate allowed for the resurrection of Sha Fei's work. His reputation was restored in 1986, when his family appealed the manslaughter verdict. The military court ruled in the family's favor, reinstating Sha Fei's Communist Party membership that had been revoked. His work has been displayed and published in China and is now visiting the States for the first time. There's much more to Sha Fei's career, and you can learn about it on OSU's Web site.